Toshiba launched,world's thinnest tablet at the CES. Toshiba The Excite X10 is just 7.7mm, around 0.9mm thinner is now the world’s thinnest 10-inch tablet, measuring in at just .3 inches thick and weighing just 1.2 lbs. But don’t forget that the iPad 3 is presumably just around the corner (along with quite a few Android slates this week), so anything can change than the previous thinnest tablet in the world, which is the Samsung Galaxy Tab 10.1. The 25.7-cm (10.1-inch) device comes with a capacitive touch screen with a 1280 x 800 pixel resolution. 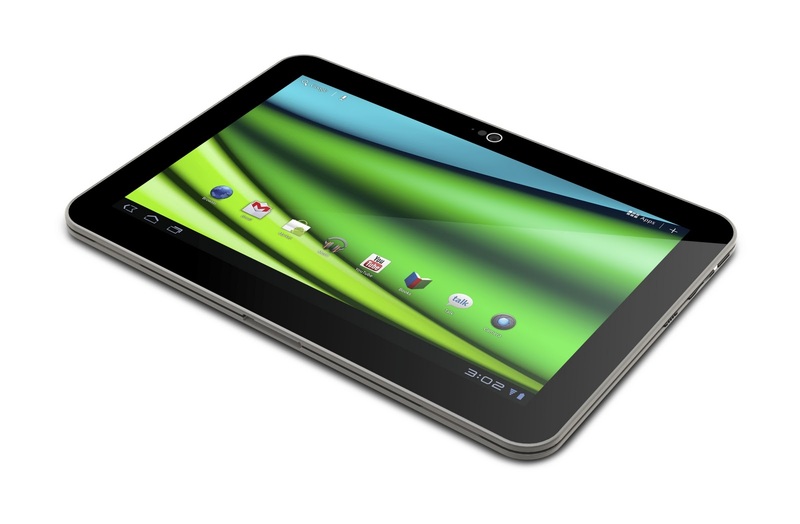 The tablet is powered by 1.2 GHz dual core TI OMAP4 processor and runs on Android 3.2 Honeycomb. Other specs of the tablet include 1GB of RAM, upto 64GB internal storage, Wi-Fi 802.11 b/g/n, microHDMI, microUSB, 5 megapixel rear camera, 2 megapixel front camera and memory expandable via microSD card. However, one cannot say much about the 3G capabilities of the device as there are chances that the two versions of the Excite could be launched. The device will be launched initially in the US market at $529 (approx Rs 27,936) for the 16GB model and $599 (approx Rs 31,635) for the 32GB model.